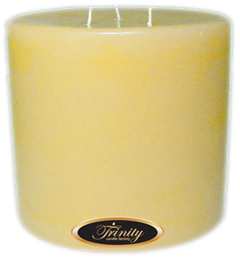 Trinity Candle Factory Premium Scented Creamy Vanilla - Pillar Candle - 6x6. This 6x6 Pillar Candle is premium scented for maximum fragrance throw. With a 300+ hour burn time, cotton wick and premium scent, this candle has 3 wicks "The Original Trinity Candle" and an absolute must. This Creamy Vanilla candle smells like a nice warm, creamy, buttery vanilla! If you are a Vanilla lover this one is for you. 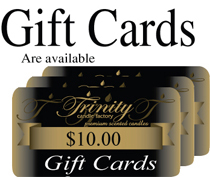 One of our very best sellers and great for the holidays. 100% Satisfaction Guarantee.